BRINGING together both professional and amateur groups from neighbouring countries, InterKultFest is being staged for the first time, from Thursday 11 to Sunday 14 September. 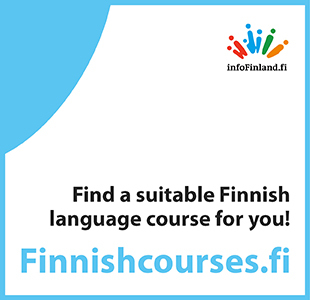 Being held at the Stoa and Vuotalo cultural centres, as well as Itäkeskus and Vuosaari's schools and neigbourhood, the intercultural-friendly programme seeks to attract an audience of younger people. Recent statistics show that 14 per cent of all youngsters aged 13-29 in the Helsinki metropolitan area have an immigrant background. Local production It Could Be Worse follows the exploits of main character Felix Kuullppaa, as he attempts to adapt to life in Finland, after arriving here from abroad. From the creative mind of Czech-American director, actor and theatre pedagogue Alex Komlosi, the production also features some words from Li Andersson, Jussi Halla-Aho, Heikki Hursti and Ben Zyskowicz. From across the pond, Swedish production Revenge is an hour-long monologue focussing on class, ethnicity and power by Francine Agbodjalou. A talk will follow the performance, held between Agbodjalou and Alle Eriksson, a chronicler, moderator, debater and secretary of TRYCK. A non-political cultural society, TRYCK consists of culture workers who have originated from Africa. Norwegian production Fear Infection focuses on fear, anxiety and uncertainty, incorporating urban music and a fusion of hip-hop/modern/jazz as the physical language of the performance. Danish production Say Something sees seven young people opening the door and allowing the audience to spend time with their lives, dreams and sorrows. Meanwhile, InterKultKlubi offers an evening overflowing with music and comedy. Hosted by Ágnes Kaszás and her friends, the theme traverses issues related to the homesickness and identity crises faced by immigrants. Finally, InterKultYouth takes over Stoa on Sunday. Offering theatre, dance and media art, events are performed by young people from the metropolitan area.